Your pet is a member of your family and Air New Zealand understands that you have concerns about their safety and comfort during a long international flight. You can rely on Air New Zealand pet transport and their experienced expert appointed agents to ensure that your pet travels safely and in comfort. Because of the complexity of the pre-flight documentation, veterinarian checkups and MPI regulations Air New Zealand will only allow pet flight bookings to be handled by approved pet transport companies. Air New Zealand Cargo accepts the pets for Air New Zealand, Qantas, Singapore Airlines, Cathay Pacific, and Korean Airlines while Menzies Cargo accepts the Pets from Thai Air and Virgin Australia. Dogs, cats and other warm blooded animals that are commercially transported are protected by animal welfare acts. Pet transportation regulations from New Zealand have been set by the Ministry for Primary Industries and IATA the International air transport authority. 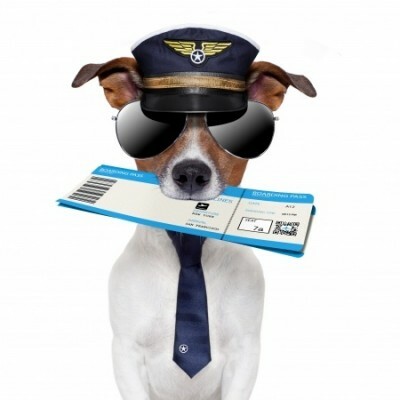 IATA advises the airlines and agents about the humane transport of your beloved pet. There are regulations established to protect your pet while in transit. Air New Zealand complies with these regulations and all of this will be arranged by the pet transport company you use. Your pet needs to be examined by an Official MPI approved Veterinarian. The Veterinarian will check that your animal is parasite free, healthy, and fit to fly. You are welcome to contact us for a list MPI approved Veterinarians for pets that are travelling to Australia. We will arrange the booking with the Official MPI Vets at Auckland Airport for pets travelling to other destinations.Air New Zealand only accepts pets that have the required permits (where applicable) and Export Certificates which we can help you complete accurately. All animals have to travel in IATA approved travel kennels/cages. Your pet travel provider will either provide the cage for you or help you to find a cage that is suitable to the size breed and weight of your pet.Animals traveling on Air New Zealand are shipped as cargo; this is for both the health of the animals and the passengers. The only animals allowed inside the cabin are guide dogs. An animal that travels internationally needs an Export Customs Delivery order. Your pet transport company will arrange this for you. The documentation requirements differ from country to country, your pet transporter will be able to advise you on what vaccinations, and treatments are required for each individual country so that your pet meets the requirements for Certification. The pet transport company you use will provide you with all the information you need regarding travel documents, health certificates, and import or export Certificates. Is my pet old enough to travel? New Zealand regulations allow pets older than 8 weeks or 90 days to travel by air for Domestic flights and for pets travelling to Australia. Most other countries require pets to be a minimum of 12 weeks or 120 days old. The costs will vary from country to country. Your pet transport company will be able to provide you with what costs are involved. Where will my pet be on the plane? Your pet will be in the live animal hold. Just like the main passenger section your pet will travel in a pressurized and heated section of the aircraft. Will my pet be going into Quarantine? This depends from country to country however post countries do not require cats and dogs coming from NZ to go into quarantine. Usually you can take your pet home a few hours after the flight has landed. Can I send my pets belongings in the cage? You are welcome to put soft toys and blankets in the cage, things that will make the trip more comfortable are great. Solid bowls, brushes, shampoo’s etc will need to be checked in with your luggage. Air New Zealand and their approved pet transport agencies will go out of their way to ensure your pet travels in comfort and safety. The regulations set aside are there to protect your pet we will do everything we possibly can to make the journey as easy as possible.